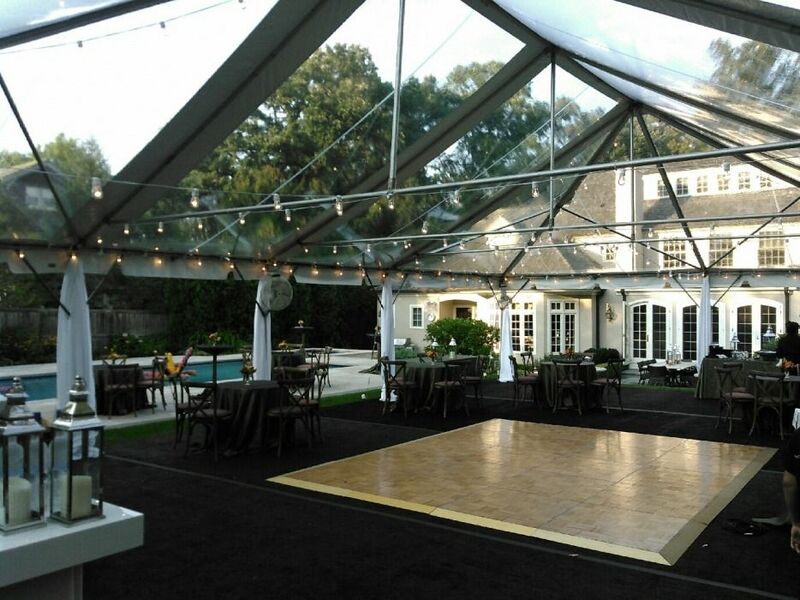 Let Indestructo Party Rental help you with your next show at any venue. 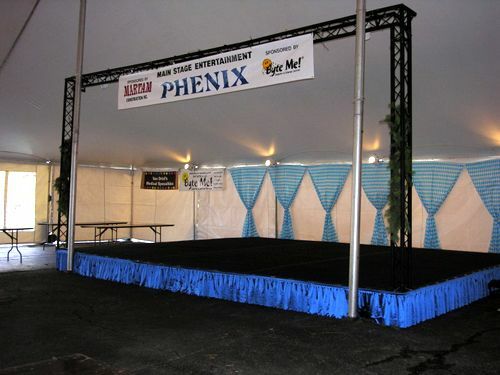 We provide performance stages and platforms as well as fashion show runways and catwalks. 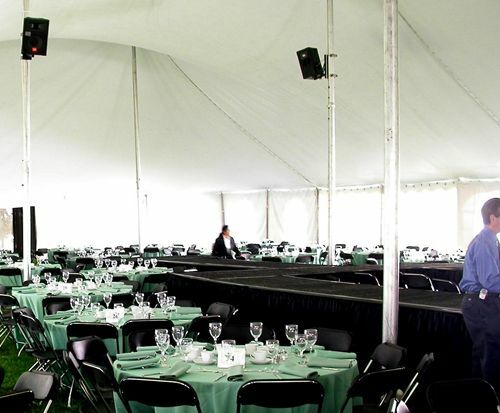 We also rent lighting, ramps, stairs, safety rails, skirting, carpeting, pipe & drape backdrop curtains and more for your big event. Are you planning a fashion show or performance? Step up to the mic! 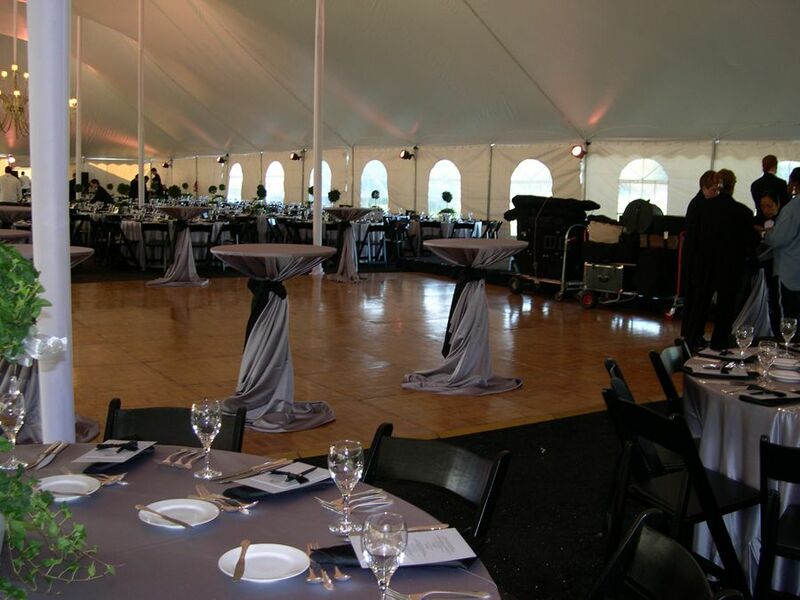 There are custom Staging, Lighting and Sound equipment packages available to accommodate any event. 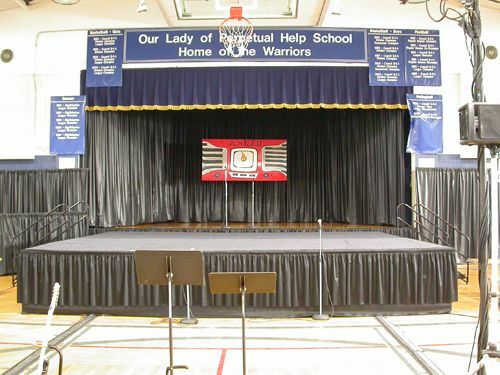 Add ramps, stairs, skirting, carpeting, hand rails and pipe & drape back drop curtains to any stage or platform. Everyone loves to dance! Why not include an oak parquet dance floor in your plans and watch your event get exciting! Modular design means you can have the size that fits your party best. Dance floors are leveled and edges are finished with beveled trim.